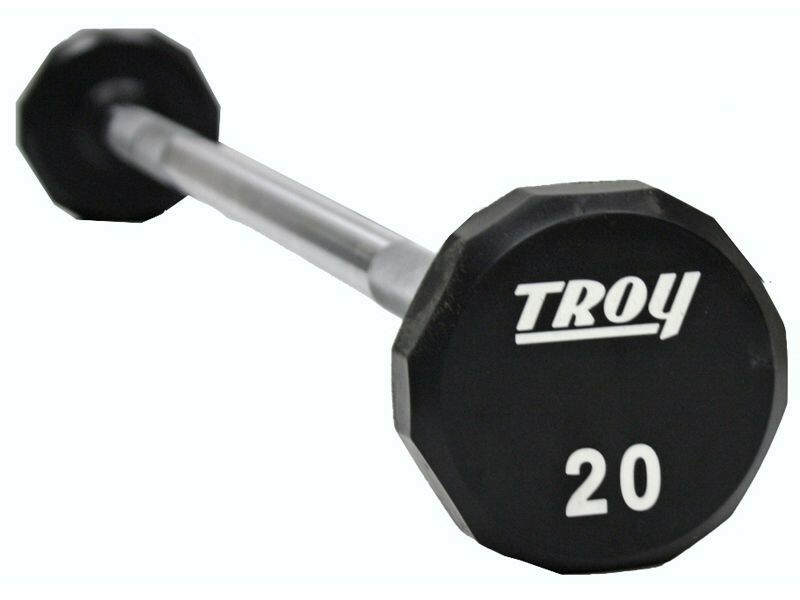 Troy's highest quality fixed-weight barbells. 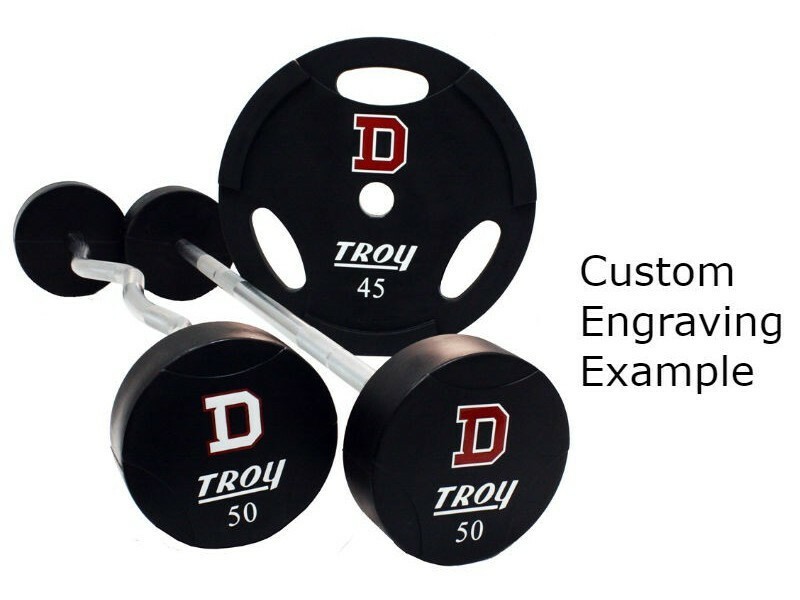 Coated with urethane, the best material in the industry for protecting weights. 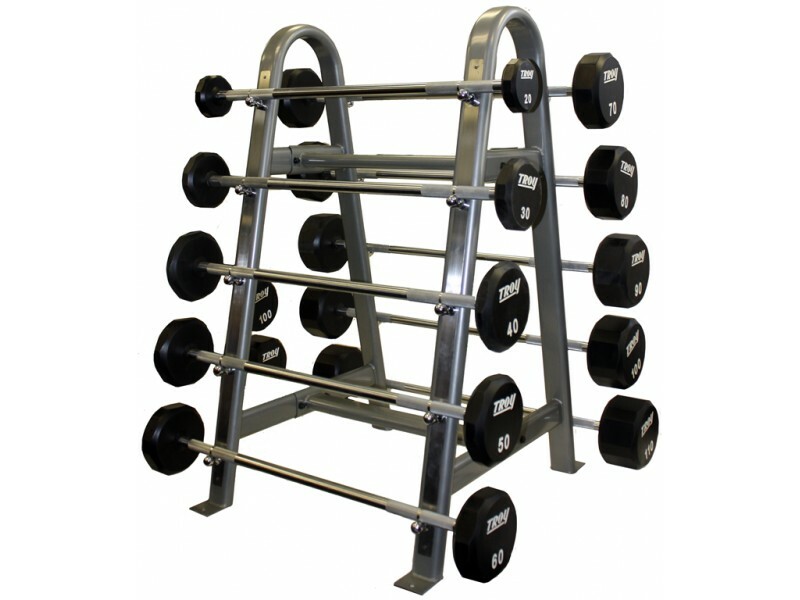 Includes a full run of 20, 30, 40, 50, 60, 70, 80, 90, 100 and 110lb barbells, plus the Troy barbell rack to fit them all. With this model on either end of the solid 30mm steel shaft is a solid 12-sided iron core covered by a thick layer of urethane. This set includes Troy's barbell rack, good for commercial environments as well.